So Brexit then. Unless you’ve been marooned on a desert island recently, there is no way you could have avoided the outcome of the recent EU referendum and subsequent media coverage. But what will Brexit mean for your money? It is easy in an age of instant access news, 24-hour coverage and unrelenting social media commentary to get swept away on wave of concern for what lies ahead but the clear message from the government and the financial sector is the old Corporal Jones adage - ‘don’t panic’. Essentially most businesses are the same today as they were prior to the referendum and this is certainly true of Kent Reliance. 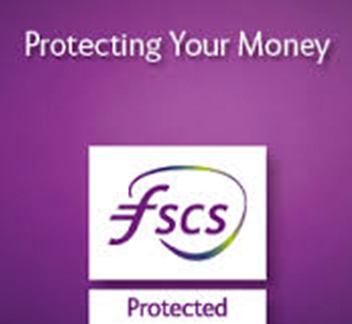 Savings, are just as safe today as they were prior to the vote to leave, as the Financial Services Compensation Scheme (FSCS) protects up to £75,000 of savings for individuals or £150,000 for joint accounts. Since 2009, individual savings products have experienced interest rate movement due to the Bank Base Rate change to 0.5%. Changes to variable rates are influenced by a wide range of considerations such as the rates your competitors are offering and also a company’s liquidity capacity. Therefore while Brexit may be a consideration in regards to interest rates, it is unlikely that this will be the sole driver of change. Our exit from the EU won’t be a quick process either, giving businesses the opportunity to plan what course of action they will take in light of the change. While the referendum outcome may well present a few challenges to the financial sector, it is certainly not doom and gloom – accommodating change and being flexible are necessary skills businesses in all sectors must adopt in order to survive. Kent Reliance and other financial providers have seen many changes over the years and have proved their ability to revise and adapt where appropriate, so even in light of Brexit, it is very much business as usual.